I don’t think I’ve ever done this before. My Goodreads TBR list is a mess, filled with books I casually put on there a few years a go to never be looked at again. Well, with inspiration from Ashleigh’s brutal unhaul post, I decided to do a bit of spring cleaning myself. “I’m done.” – Series that I won’t be finishing. “Would you actually, though?” – Books that, come on, I just won’t read. “Popular =/= Good.” – Books I only TBR’d because they’re popular, but I know I won’t read. These are words I utter frequently, but not usually when it comes to book series. I am so determined to finish a series that I’ll keep going even if I’m not a big fan, but these series…I could not. I am DONE. I’ve finished The Infernal Devices, I’m planning on reading Lady Midnight, and I watch Shadowhunters. It’s safe to say that this series is already a large part of my life. Will I be finishing it? No. I read books 1-3 and I just don’t understand the appeal. The dialogue is hammy and cringe-worthy, the characters are boring and stereotypical and all they do is sit around and talk, and the comedy elements aren’t even funny. Plus, all the legal stuff with Cassandra Clare makes me want to take a step back. Sorry, TMI fans! I stopped reading Steelheart after about 100 pages because I just couldn’t anymore. It was slow, kinda sexist, and just boring. It read like a boring, male-orientated action film with guns and explosions and “I will avenge you father!” Apparently Sanderson’s Mistborn trilogy is better, but it will take a lot to get me reading any more of his work. I can safely say that I’ve left my teenage dystopian phase. I am no longer interested in chosen ones who defy the sorting ceremony and set to save the world with their handsome and broody male love interest. I read Divergent; it captured my attention, but I just have no interest in carrying on. Oh well. I love buying and borrowing books; any that I can get my hands on. And so, when I’m in the trance of a spree, I might pick up or TBR books that I have no intention of reading. Why do I put them on my TBR? Multiple reasons; cover love, lots of recs, or maybe I loved the film. Whatever it is though, I know FOR A FACT that I ain’t gon read them. 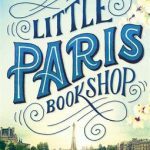 The Little Paris Bookshop by Nina George: I saw the cover and fell in love. I love Paris, and so anything with the Eiffel Tower on the cover gets my attention. And books? A book about books? Yes please! However, after buying it and looking at the blurb, I don’t think it’s what I expected it be. 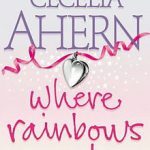 Where Rainbows End by Cecilia Ahern: Cecilia Ahern’s books are incredibly popular here in the U.K, and after seeing the trailer for Love, Rosie, the books movie adaptation, I really wanted to give it a go. I haven’t seen the movie, and I know it’s going to be predictable and boring. There’s just no way I’m going to make time for it. 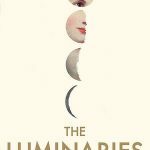 The Luminaries by Eleanor Catton: Whilst waiting for my graduation ceremony, I went for a browse in the local charity shop and found a hardback cover of this for £2.50. I couldn’t pass up the opportunity. But the book is SO BIG with tiny font, I’d rather use it as a door stop. But I’ve been told it’s good, but I don’t think I can get through it. 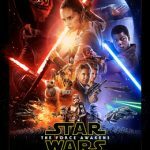 Star Wars: The Force Awakens: After falling in love with the film, the book came out. I knew it was literally just the film in book form and honestly, I don’t know why I thought it would be any different. I really should have bought companion novels instead. Oh well. It’s a universal truth; popular does not equal good. I mean, look at Donald Trump. These books are ones that people will not stop talking about, and it just pushes me away even further. There’s just something about them that makes me not want to pick them up (Note: This doesn’t mean they aren’t good). 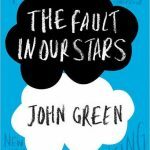 The Fault In Our Stars by John Green: Any John Green book, really. Teenagers talking like philosophers, making out in Anne Frank’s home. I dunno. It’s worse with Paper Towns, I mean I really don’t want to read Paper Towns that it wasn’t even on my TBR list to begin with. So, sorry all you John Green lovers. Maybe if people didn’t keep talking about it? 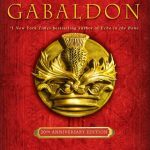 Outlander by Diana Gabaldon: We place this in the ‘Romance and Saga’ section at work, and for me, that’s already a big no no. A woman goes back in time and falls in love. What’s adventurous about that? It was on my TBR because it’s popular, but I know I’m never going to read it. 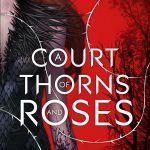 A Court Of Thorns And Roses by Sarah J Maas: Now, hear me out. I’m going to be finishing the Throne of Glass series soon, and while I am enjoying it (not as much as everyone else), I’m worried I’m not going to enjoy this at all. I read somewhere that it’s fantasy New Adult, and I hate New Adult books. Who knows, I’ll probably pick it up eventually. 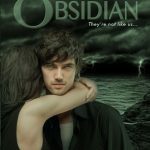 Obsidian by Jennifer L. Armentrout: This one is just a big nope for me. I put it on the TBR because people were raving about how steamy and lovely it is. But after reading more about it and reading people’s scathing reviews, I can definitely put it in it’s own category of nopety nope. Aaaand that’s it! Everyone breathe in a big gulp of fresh air. Spring cleaning is done, and now it’s time to get into the books you actually want to read! Glad I could inspire you to do this! Though getting rid of Outlander and A Court Of Thorns and Roses hurt a little bit, as they’re both favourites of mine haha! Though I get why you might not like them. Outlander definitely isn’t for everyone. And ACOTAR is only classed as New Adult because there’s a few saucy scenes, so it needs to be classed as an older audience. Though I’m a huge Sarah J Maas fan so I can see no wrong 😀 Like I say though, no book is for everybody! The Little Paris Bookshop and Luminaries I keep being so tempted to add to my TBR, but then scold myself because they’d also end up in “Would you actually, though?” if I had the same headings haha! I really need to do this! My TBR shelf on Goodreads is insane because I’ve had my account for six years, haha. I struggled with City of Bones so much and I was considering giving the series another go, but like I just don’t know if I’m willing to commit to something that I probably won’t like.